It's truly amazing how just one player can change the course of an entire program. 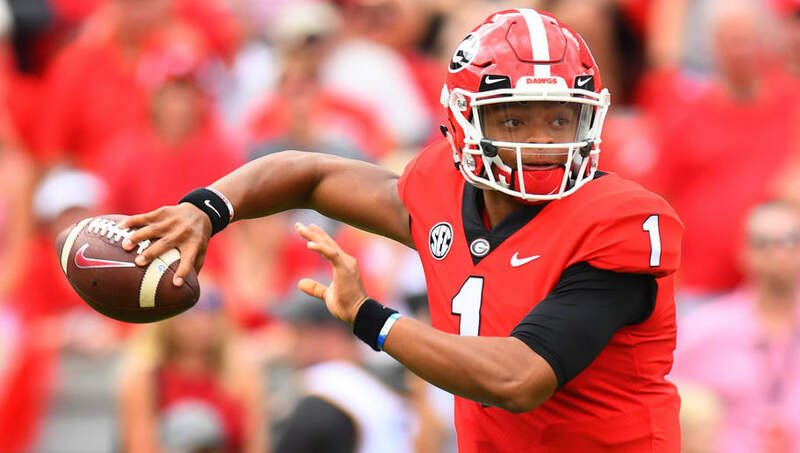 Friday, it was announced, as anticipated, that the NCAA granted ​Justin Fields an immediate eligibility waiver, allowing him to play in 2019 following his transfer from Georgia to ​Ohio State. The news about the former 5-star quarterback has already had a big effect on Ohio State, and the season hasn't even started yet. With Fields in the clear for next season, the Buckeyes' odds of winning the National Championship jumped from 12/1 all the way to 8/1. • 12/1 before Fields’ eligibility decision. 8/1 odds now put Ohio State behind only Clemson, Alabama, and Georgia for most likely to win it all. Fields' eligibility has to hurt Oklahoma's chances of making it into the College Football Playoff, as they are now projected to miss the top four after Ohio State's recent jump. This has to sting even more, considering that some believed that Fields was actually going to be transferring to Oklahoma initially. All of this makes for another very exciting college football season. Can it be September already? !